If a particular item is not available at the YIC library, we have arrangements to acquire it from other YTI, YUCM and YUCW campus libraries. You may send request to library@rcyci.edu.sa. The Learning Resource Center equipped with modern multimedia tools and resources offers information literacy programs, hands-on trainings, in-class sessions and workshops for the use of different electronic databases to maximize the efficient use of Library resources and services. Library also provides video lectures & academic movies facilities. Hands on training sessions to enhance the effective use of Library resources for all the faculty/ staff/ students are conducting as followings. In addition to above training sessions, the Faculty can also request for the specialized training session. Please call us or send us a request before one week for the specialized training session at library@rcyci.edu.sa. The LRC users can borrow the books through RFID based self-check circulation/ transaction and also deals the matters regarding membership and clearance. OPAC (Online Public Access Catalogue) system provides the bibliographic information of books/journals which can be traced out by searching its author, RFID title or subject. All Libraries have organized well equipped high quality computer Lab with latest iMac systems to its users. 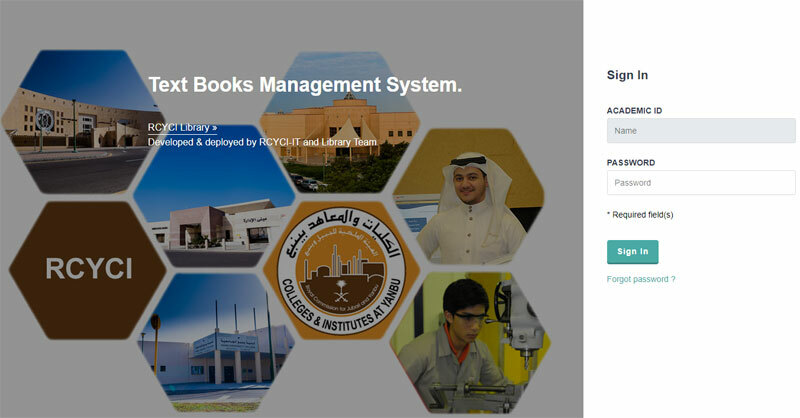 Where students/users can browse and search all Databases, e-journals, e-books & References. All the iMac computers offer internet access and have all the necessary software like iwork and MS Office. EndNote is reference management software to manage bibliographies and references when writing essays and articles. This enables to select multiple citations to save the user to manually enter the citation information and the abstracts. Hands on training sessions to enhance the effective use of LRC resources for all the faculty/staff/students are conducting as followings.